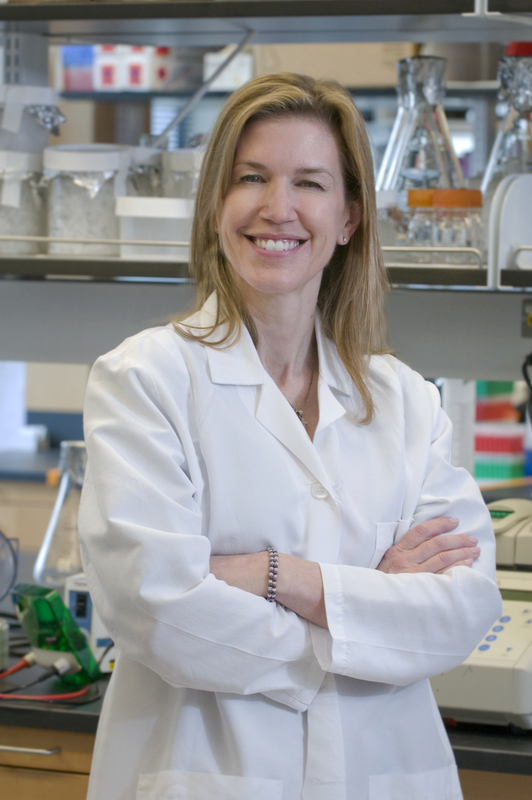 Susan Quaggin, MD, chief of Nephrology and Hypertension in the Department of Medicine and director of the Feinberg Cardiovascular Research Institute, was the senior author on studies published recently in the Journal of Clinical Investigation and Proceedings of the National Academy of Sciences of the United States of America. In two recent publications, Northwestern Medicine scientists and international collaborators discovered mutations that cause improper drainage and a buildup of ocular pressure leading to one form of congenital glaucoma, and identified a path towards future treatments for the disease. Susan Quaggin, MD, chief of Nephrology and Hypertension in the Department of Medicine and director of the Feinberg Cardiovascular Research Institute, was senior author on the studies, the first published in the Journal of Clinical Investigation (JCI) and the second published in the Proceedings of the National Academy of Sciences of the United States of America (PNAS). Glaucoma is a leading cause of blindness around the globe, and elevated intraocular pressure (IOP) is an important risk factor for the disease. Developmental defects in the anterior chamber of the eye, including a drainage vessel called Schlemm’s canal, can lead to a particularly severe form of glaucoma in children known as primary congenital glaucoma (PCG). “This special vessel acts like the drainpipes in a bathtub — to prevent the eye from ‘overfilling,’ ” said Quaggin, also the Charles H. Mayo, MD, Professor and a professor of Medicine in the Division of Nephrology and Hypertension. Previous studies from Quaggin and her collaborators have shown loss-of-function mutations in the angiopoietin (ANGPT) receptor TIE2/TEK in families with PCG, and that ANGPT/TIE2 pathway activity is critical for Schlemm’s canal development. In the JCI study, Quaggin and her colleagues used mice models to explore the importance of individual components of the ANGPT/TEK pathway, finding mice without the growth factor ANGPT1 had severely deformed and small Schelmm’s canals. In addition, loss of TIE2/TEK, the angiopoietin receptor, had a similar effect. Investigators found two human subjects with loss-of-function mutations in ANGPT1 within an international group of PCG patients, further supporting a causative role for ANGPT1 in the disease, according to Quaggin. “These discoveries highlight the central role of this molecular pathway in glaucoma and provide sign posts guiding us to a new therapy,” Quaggin said. In the PNAS study, Quaggin and her colleagues searched for ways to influence the molecular pathway they’d identified. In particular, inhibition of TIE2/TEK has been linked to vessel leakage and inflammation, so finding a way to activate TIE2/TEK was a priority. “To develop a new and much needed therapy to ‘fix’ these vessels and lower the pressure inside the eye to prevent or treat glaucoma, we need to understand how to turn the molecules ‘on’ and ‘off,’ ” Quaggin said. Again using mouse models, investigators found inhibition of a protein called VEPTP allowed ANGPT2 to be used as a TIE2/TEK activator, providing a blueprint for a pharmacological solution, according to Quaggin. Other Northwestern Medicine authors on the JCI study include first author Benjamin Thomson, PhD, research associate, Tomokazu Souma, MD, PhD, postdoctoral research fellow, Tuncer Onay, PhD, and Jing Jin, MD, PhD, assistant professor of Medicine in the Division of Nephrology and Hypertension. The study was funded by NIH grants R01 HL124120 and R01 EY025799, NIH R01 EY014685, the Research to Prevent Blindness Inc. Lew R. Wasserman Award, and the University of Wisconsin Centennial Scholars Award. The work was also supported by grants from the March of Dimes Foundation and NEI P30EY014104, Howard Hughes Medical Center and grant EY 11721. Additional Northwestern Medicine co-authors on the PNAS study include Isabel Anna Carota, PhD, Shinji Yamaguchi, PhD, Pan Liu, PhD, and Asish Ghosh, PhD, research associate professor of Medicine in the Division of Cardiology. Souma and Thomson shared first authorship on the PNAS study, while Onay and Jin were co-authors. The PNAS study was funded by by NIH Grants R01HL124120, NEI R01EY025799, R01HL124120 and fellowship grants from the Japan Society for the Promotion of Science and Mallinckrodt Pharmaceuticals.